Save the date for the 15th annual Stupka Symposium April 3-4, 2020! 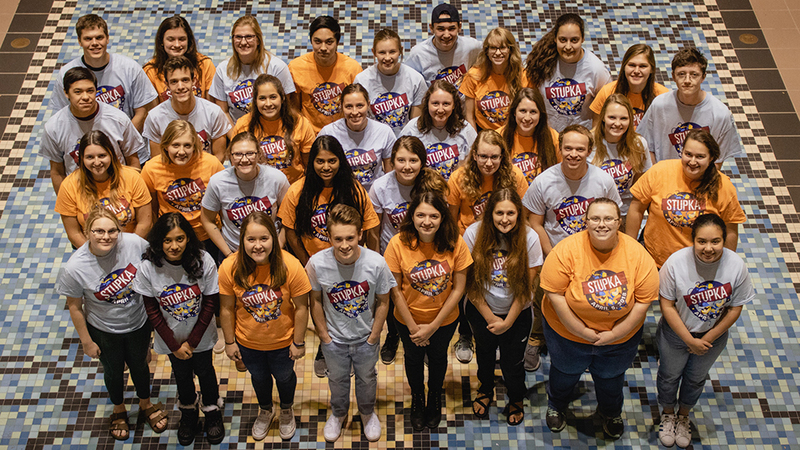 The 14th Annual Stupka Symposium is entirely organized and run by the undergraduate students in the Biochemistry, Biophysics, and Molecular Biology areas of study. This event was the inspiration of Robert John Stupka III, an undergraduate student majoring in biochemistry at Iowa State University. Rob believed in the power of research allowing extraordinary to be possible and strived to connect students and faculty for the purpose of scientific investigation. Breakfast 9:00 – 10:30 a.m. Alumni Reception 11:00 a.m. – 1:00 p.m.
Speaker/Student Lunch Sessions Noon – 2:00 p.m.
Poster Sessions 2:00 – 4:00 p.m.
Speaker Program 4:00 – 7:00 p.m.
See the complete schedule for more details. Thank you to all our donors!. Thank you to all of our 2019 Volunteers! If there are any questions or you are interested in helping to organize the event, please send us an email at stupkaugrs@iastate.edu.